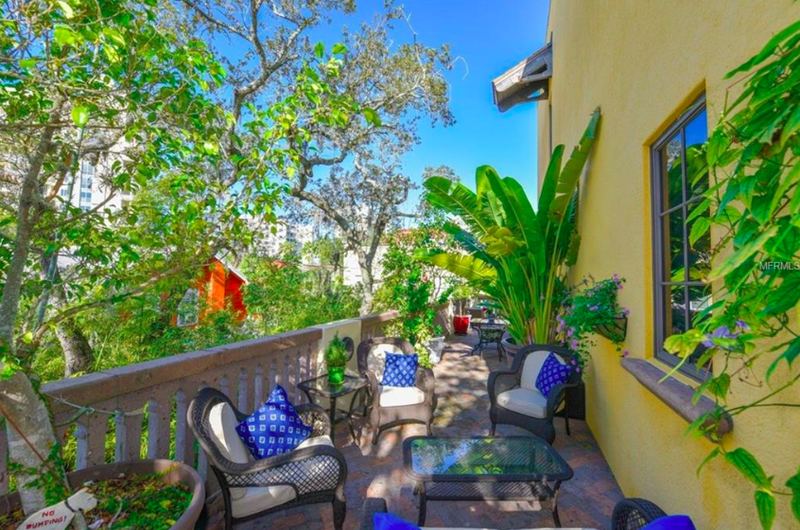 This stunning home is waterfront on a canal just south of the Stickney Point bridge to Siesta Key. 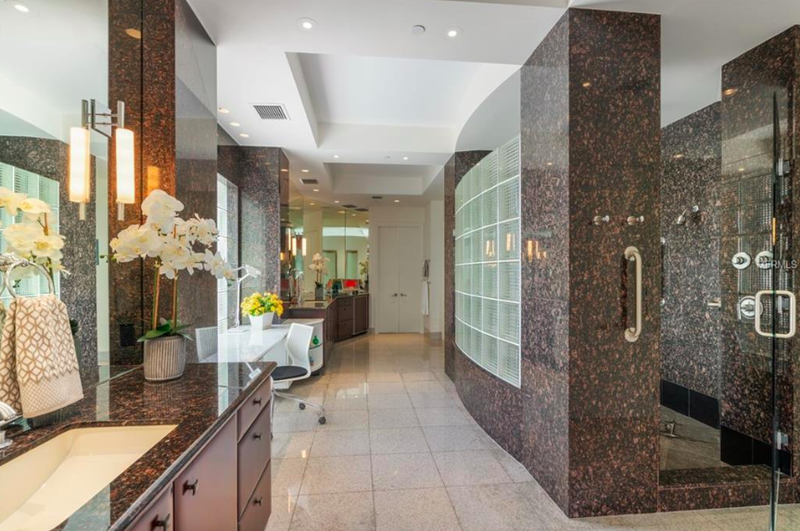 Built with the clean lines and open sights to the outdoors that characterize Sarasota Modern, the home was recently fully renovated. 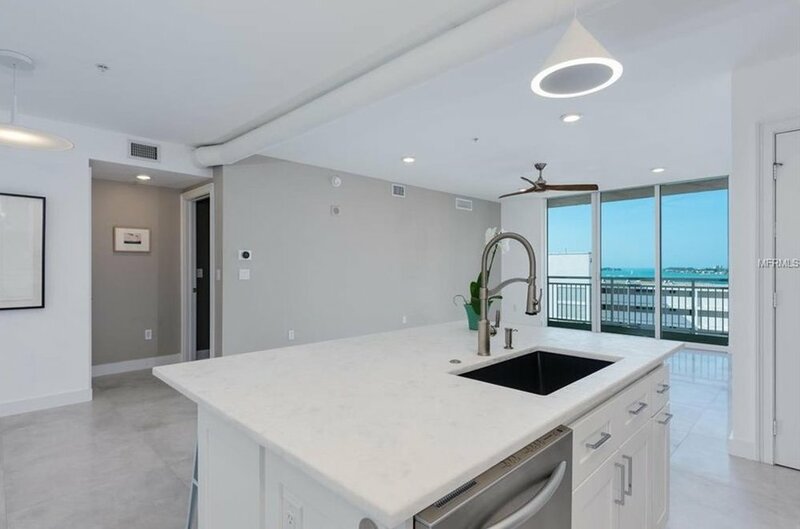 Glass block detailing original to the 1978 design has been updated with open-view railing, the kitchen and baths are fully modernized, and every room highlights the lush and large lot, canal frontage, and bay view. 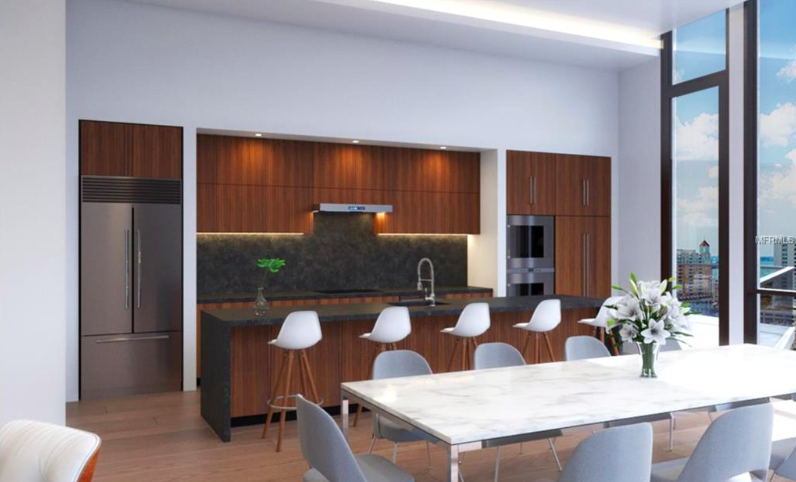 Expanses of glass, soaring high ceilings, and a juxtaposition of curvature and clean lines bring the open feel of the outdoors right into this well-placed west of trail home. 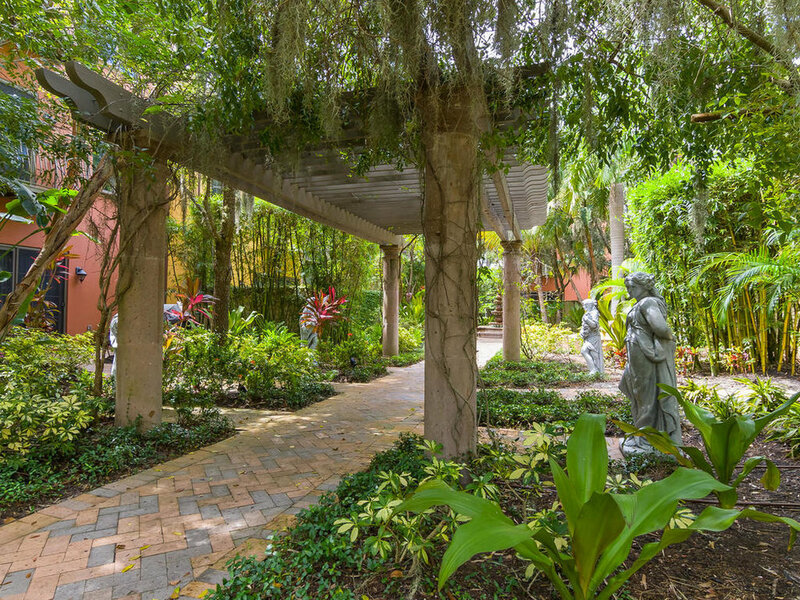 Just a few minutes from downtown is a private oasis of intricately woven tropical landscaping surrounding a sleek, modern home. 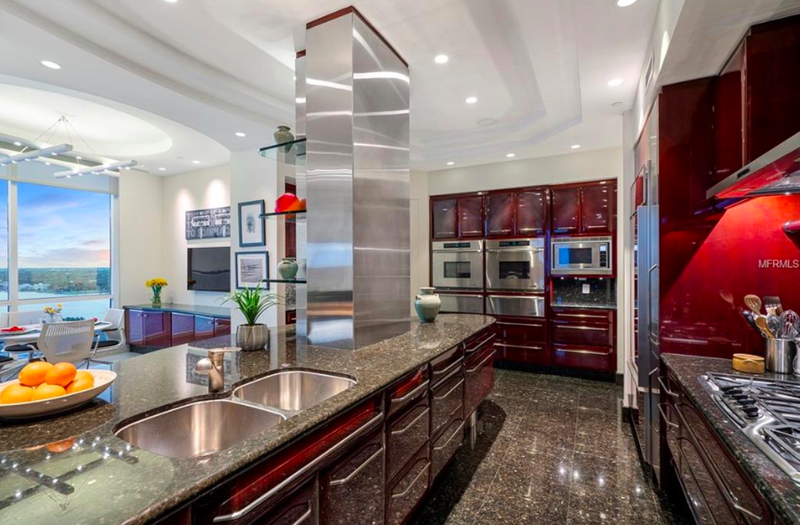 The home was built in 2003 and has been updated with a focal point modern kitchen and contemporary poured concrete floors. 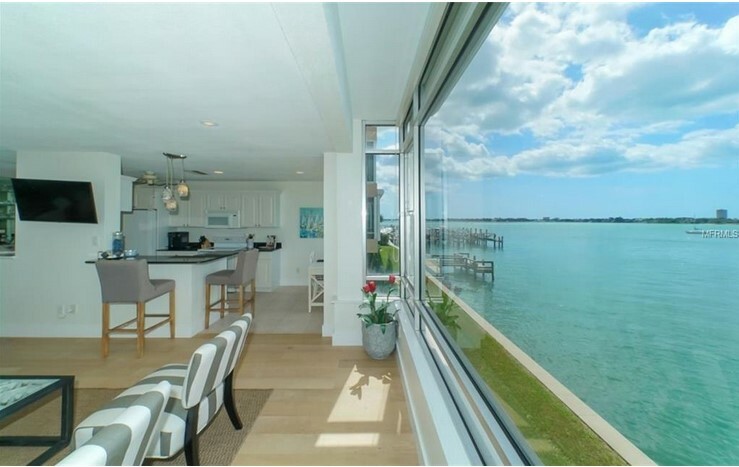 Located on exclusive Bird Key, this residence is situated on large corner canal-front lot. 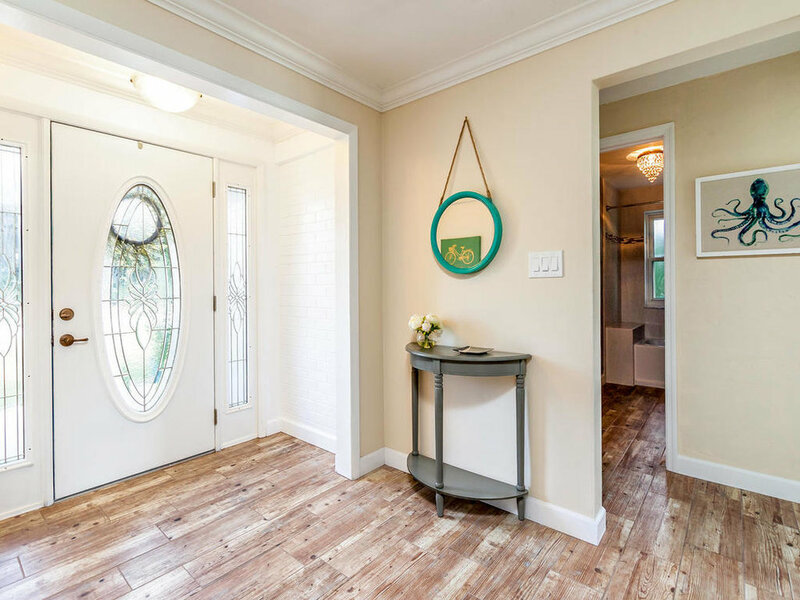 A testament to coastal contemporary design, this home is cozy but clean in its design, with more traditional touches than the modernist examples above. Angled high ceilings, vast lengths of windows and sliding glass doors, and sliding barn doors add unique features and update the 1963-built home to modern tastes. Located in inland neighborhood Ridgewood just south of Proctor Rd. 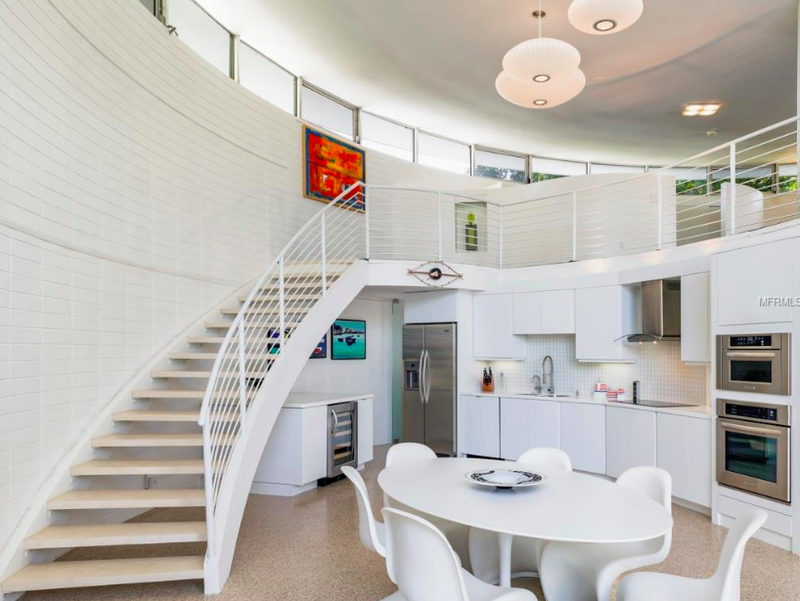 A true Sarasota School of Architecture gem, this eye-catching home was designed by two original members, Jack West & Elizabeth Boylston Waters, in 1960. 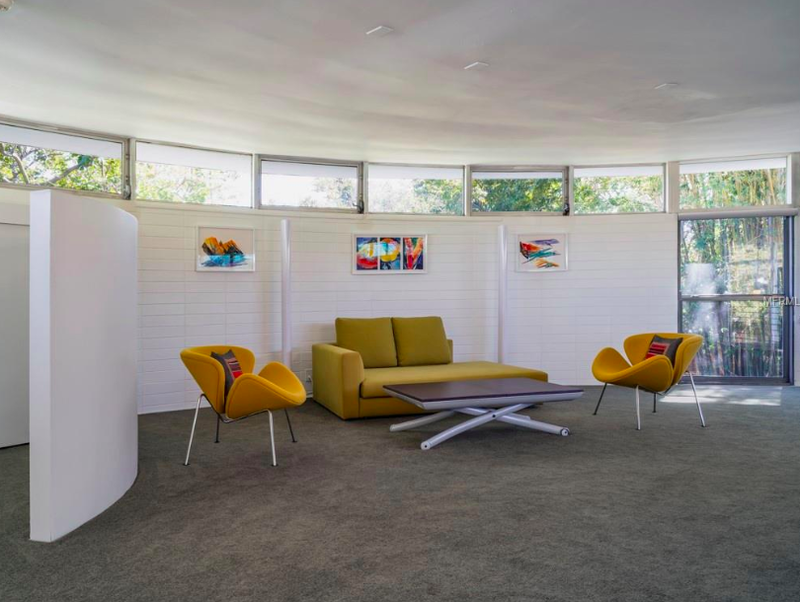 The Round House is just that, a circular home set on two lots with a third buildable lot included. 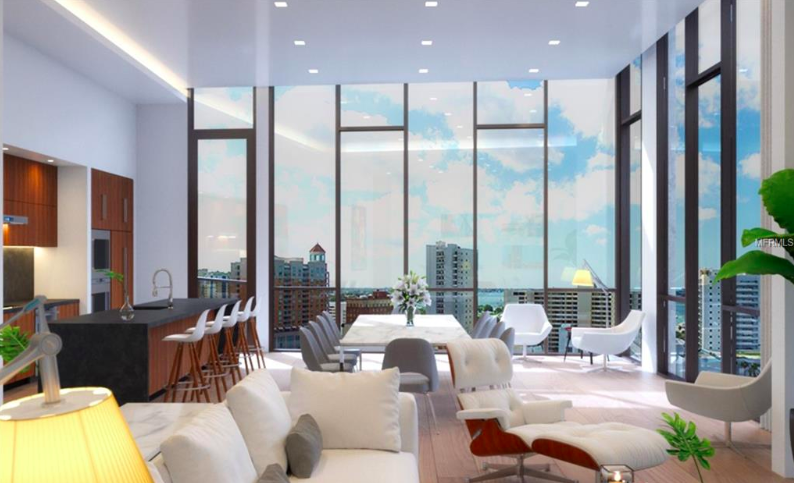 The simply massive open living space features glass walls soaring up two stories and a balcony overlooking it all from the second floor. 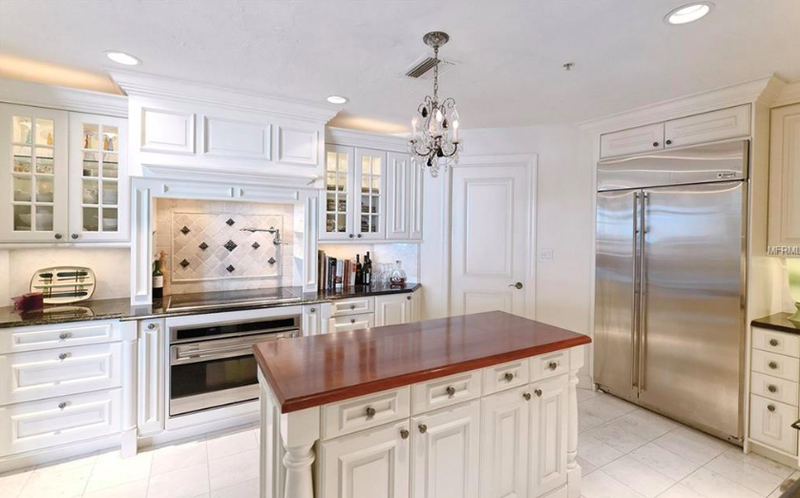 The modern-style kitchen is clean white, enhancing the light and bright downstairs space. 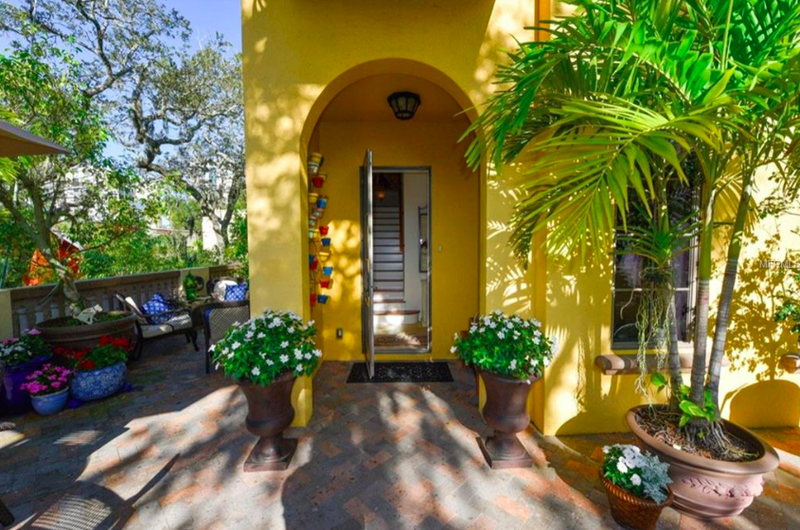 If you are on the market for a true piece of Sarasota architecture, this one should have your eye. 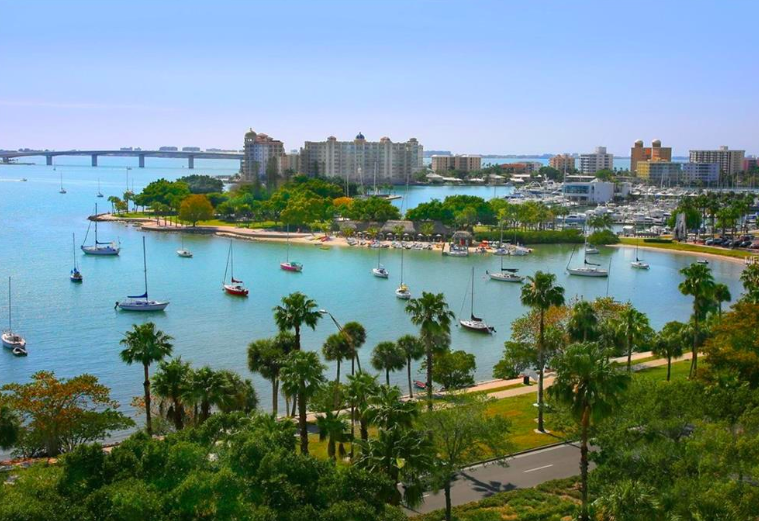 We truly have something for everyone here in Sarasota. 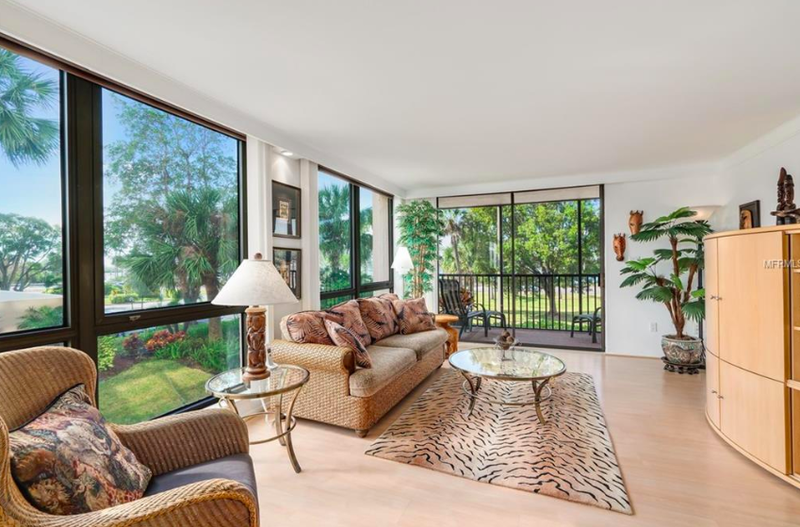 Whether it is a simple condo, an architectural wonder, or a family estate, I can help you find a home that is right for you in our area! Our world has gotten friendlier over the past few years, and in general we approve! But what if you're put off by this new world of pet-friendliness? While pets have sashayed right into real life as dining partners, workout partners, and (dare we say it?) office helpers, it seems that there isn't a place today for people who aren't pet-lovers themselves. If this sounds like you, and you would like your home to be a vacation from other people's pets, then perhaps you should check out some of downtown's pet-free buildings. Let's have a look! 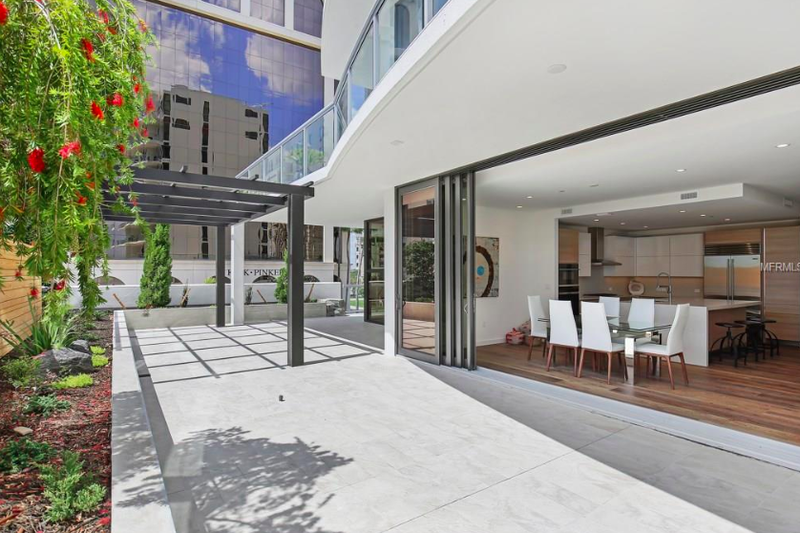 *The price range noted below reflects closed sales in the past year. 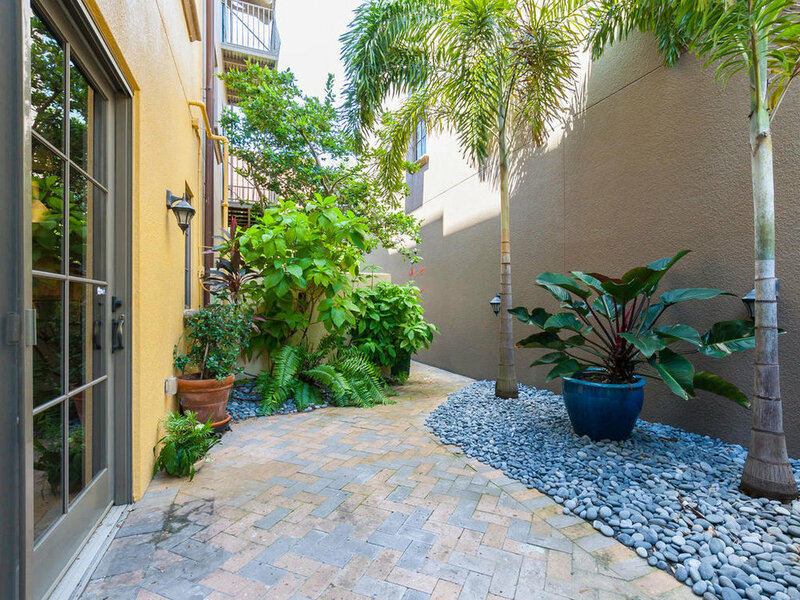 This Palm Avenue gem is known for its friendly community has fantastic city and water views, and the great location right across from Bayfront Park. Perks & Plusses: Super-spacious floor plans. 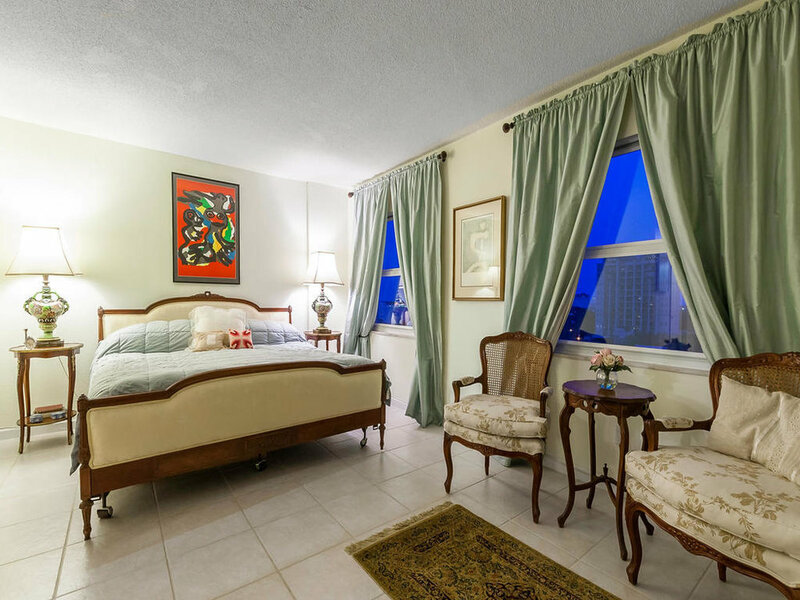 Spectacularly green city views over Burns Court to one side and expansive sparkling water views from the other. 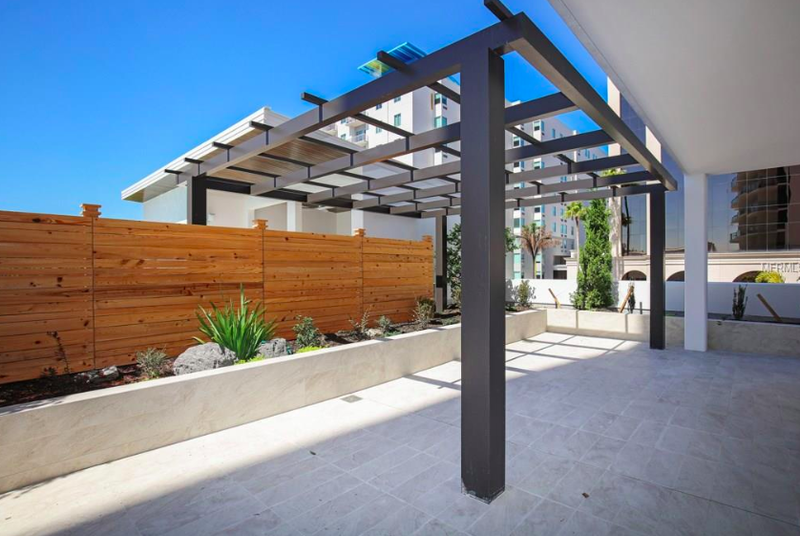 Walkable to everything downtown. 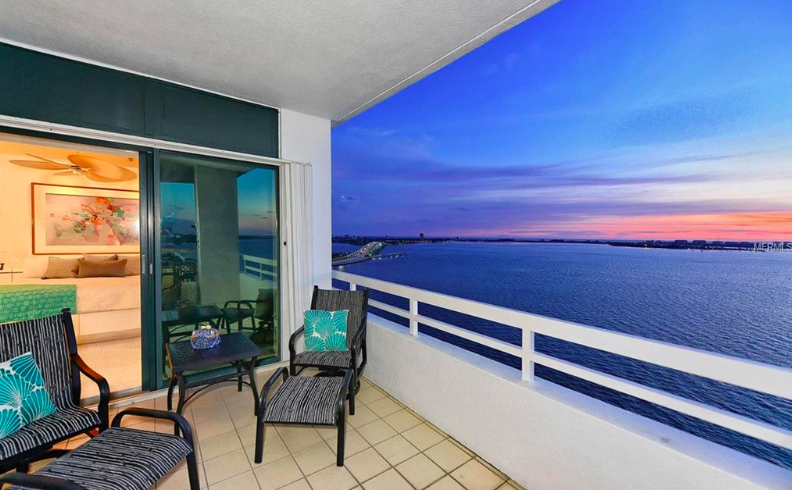 Condo on the Bay was the first of its kind: a high-rise nestled against the waterfront offering totally unobstructed views of the Bay, the Gulf beyond, the barrier keys as well as downtown Sarasota. Composed of two buildings, only one is pet-free. 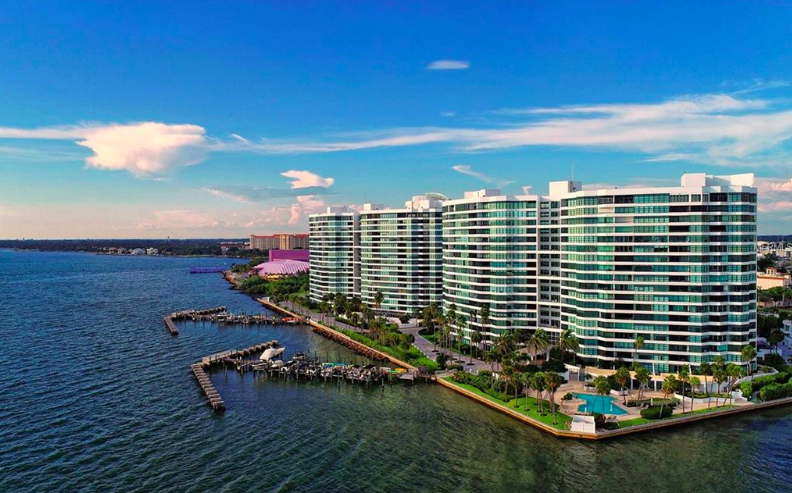 Perks & Plusses: One of only a few downtown condo buildings that has boat dockage. 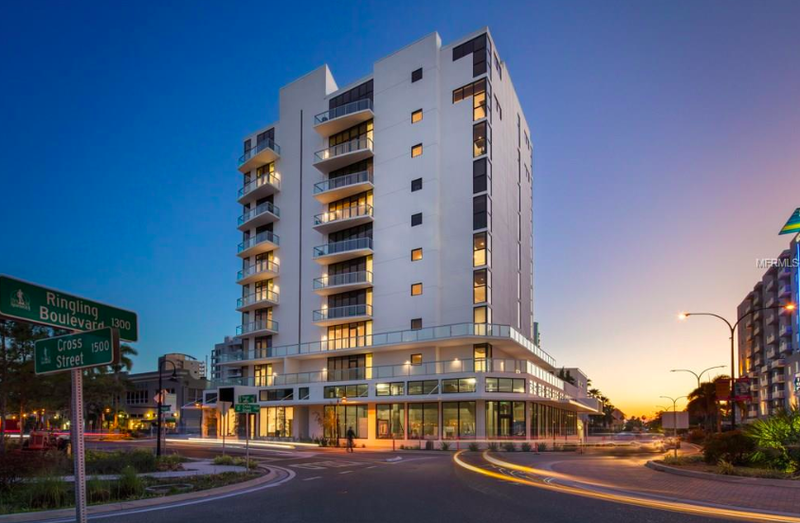 This building isn't 100% pet-free, as owners (not tenants) are allowed one cat per residence. 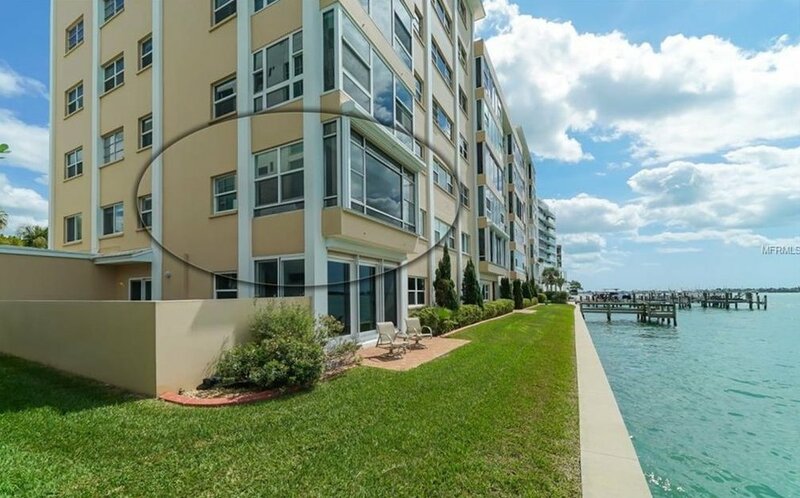 However, these seen-and-not-heard animals might be tolerable thanks to the spanning views of Sarasota Bay, the Marina, and Golden Gate Point available in Embassy House! 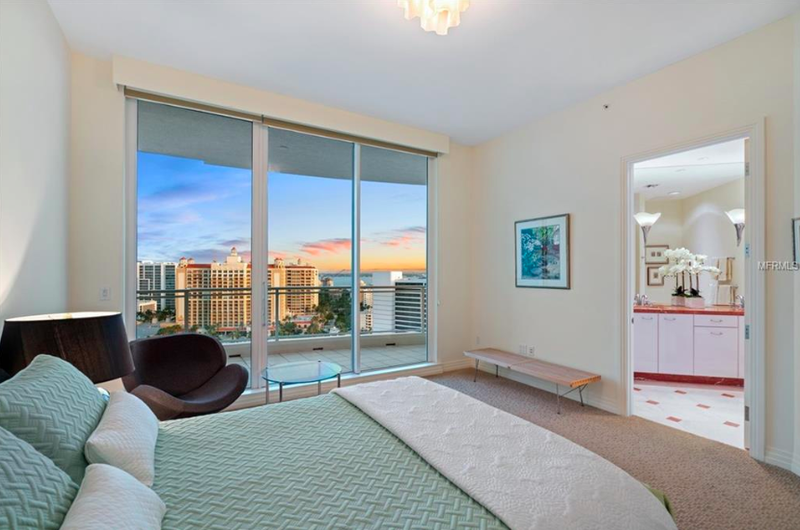 Perks & Plusses: Full walls of windows frame the views for days that you get here. 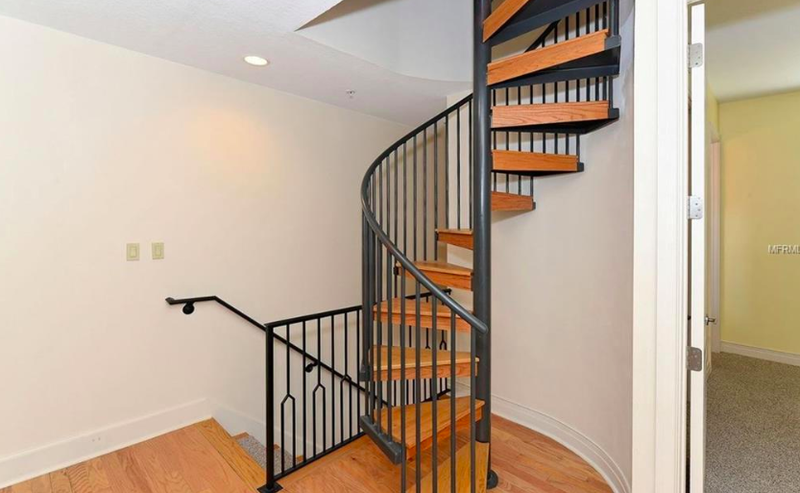 Walkable to everything downtown. 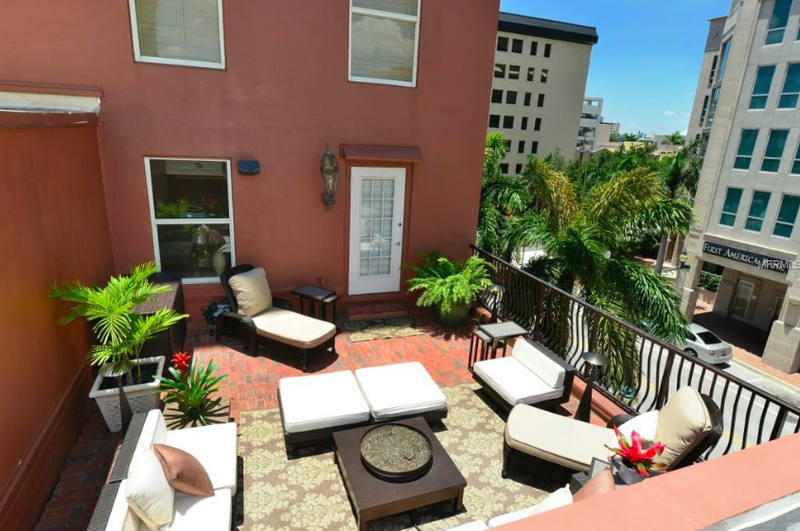 Whatever lifestyle you're searching for downtown, we can help you find it. 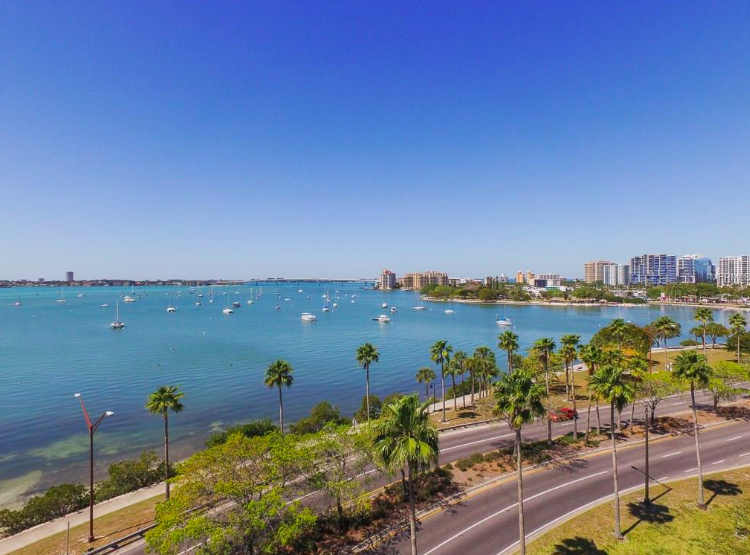 Pet-full or pet-free, walkable or boatable, there is a place for you in Sarasota! 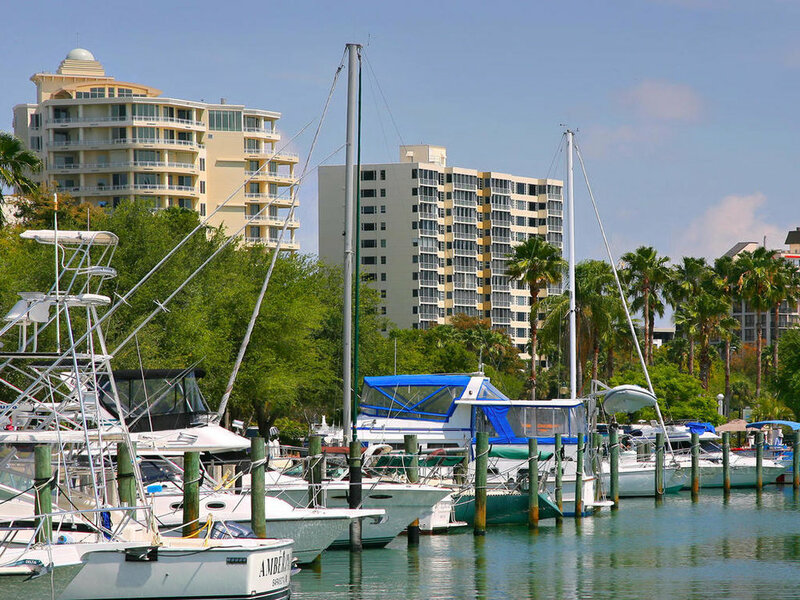 If we can be of assistance in your search for the perfect home or condo in Sarasota, please give us a call today. We know you're savvy, in-the-know people who want the most up to date information on your homes and investments, and we are happy to oblige! We just added a new feature to our website, Current Market, and we want you to have a look. Every month, as soon as we have the stats on the prior month, so will you! Take a look at this month's current market update below, and anytime you want the freshest, most current data on downtown Sarasota condos, visit seetheviewfromthetop.com/downtown-current-market! 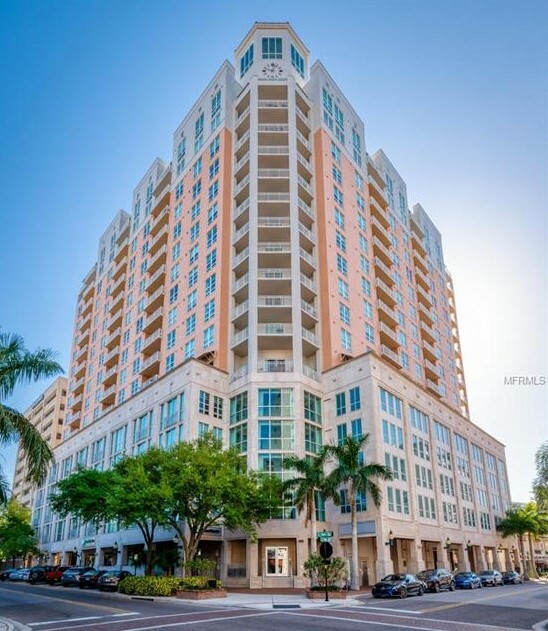 A market update just for your neighborhood, downtown Sarasota, as of the end of June 2018.
downtown condo inventory is down, but pending sales are up. 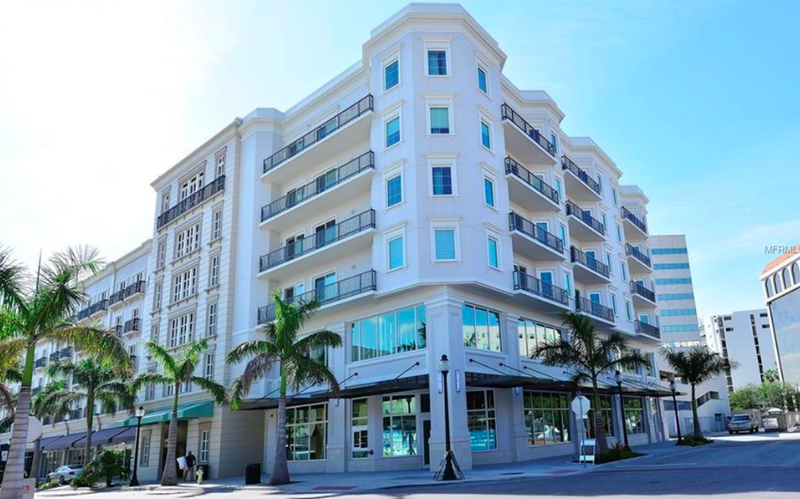 The seasonality of downtown Sarasota means we typically see a drop in sales and contracts over the summer. Consequently, less people typically choose to list during this time because of the decreased buyer traffic. This year, that still seems to be true, but 40% more houses have gone to contract in June than in May of this year, and this year is 20% up over 2017.
price per square foot is down, but consistent. 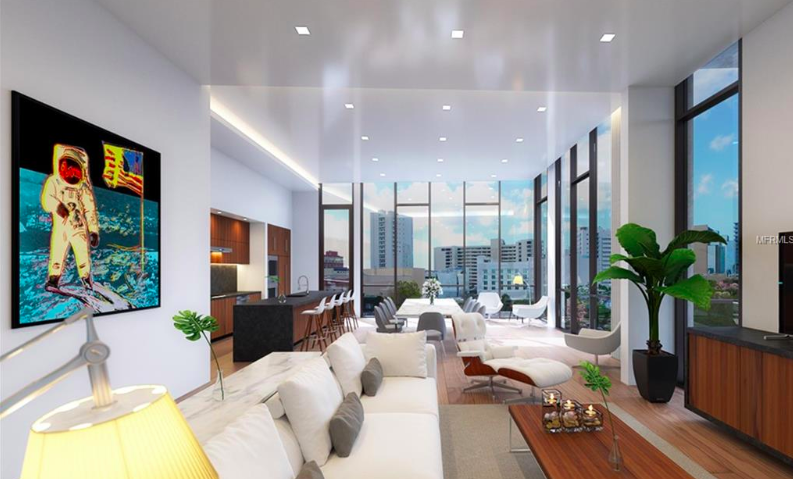 Downtown condo prices historically rise to their highest heights during Season in the first few months of the year. June's average is a bit lower than last month (by about 8%), but is up nearly 20% over last June's. All in all, the year-over-year increase has been consistent in 2018, and we are happy with that! 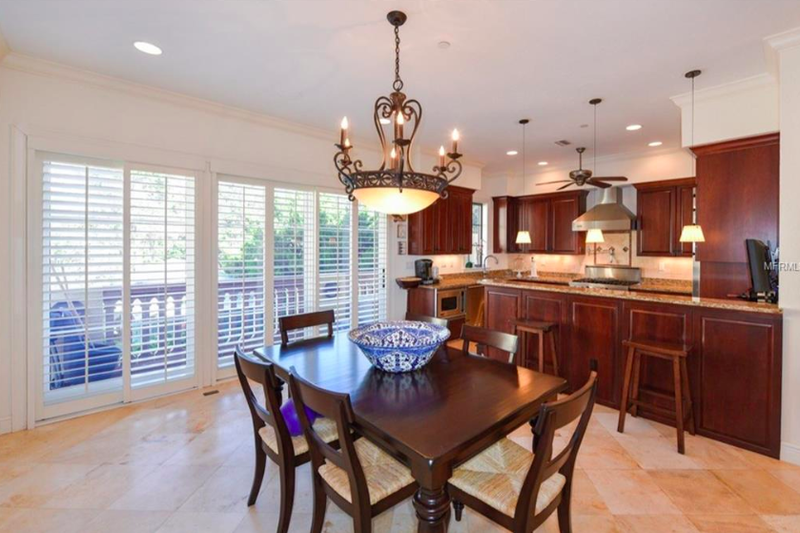 number of days on the market is down, but so is list price to sale price ratio. 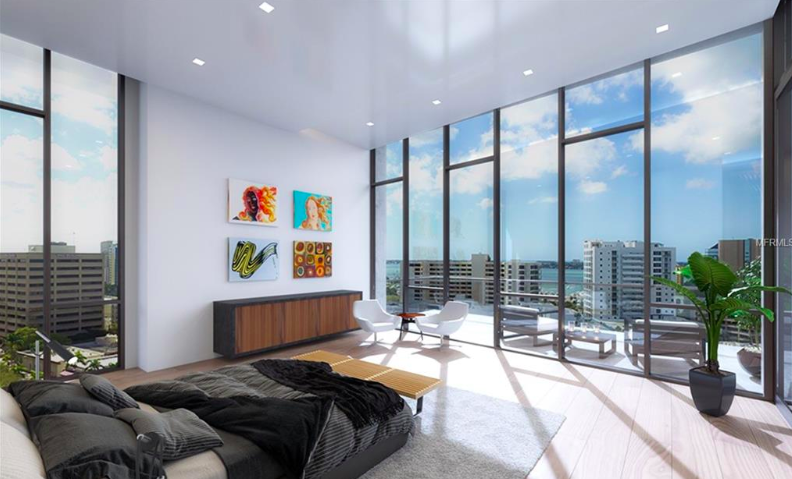 In short, this means that listed downtown condos are spending less time on the market, but sellers are getting a lower percentage of their asking price. 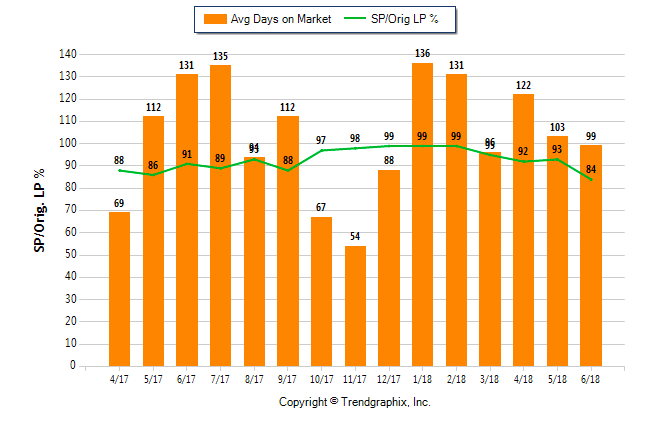 Over the past 12 months, the LP:SP ratio was closely tied to seasonality, with sellers getting nearly 100% of their asking price during high season. We have dipped to 84% as of June, which is a 9% decrease from May, and an 8% decrease from last June. Days on market is down about a month from this time last summer, and down 4% from May. 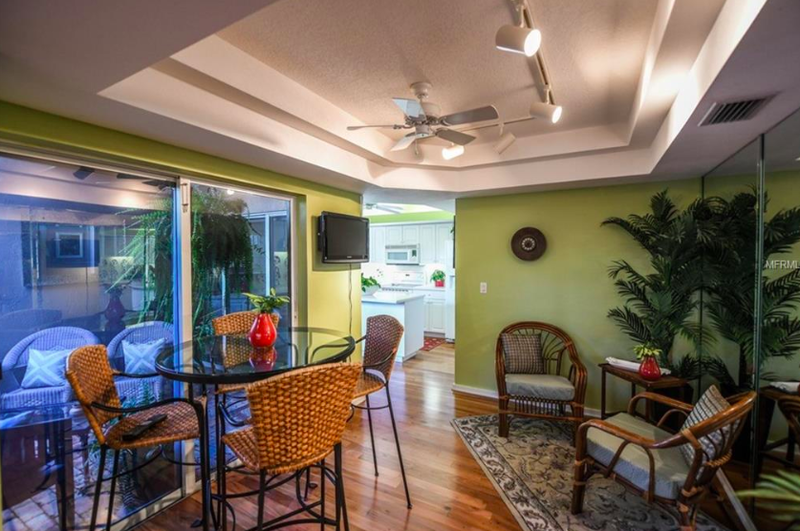 The downtown Sarasota condo market breathes with the season, and we are stopping for inhale right now. 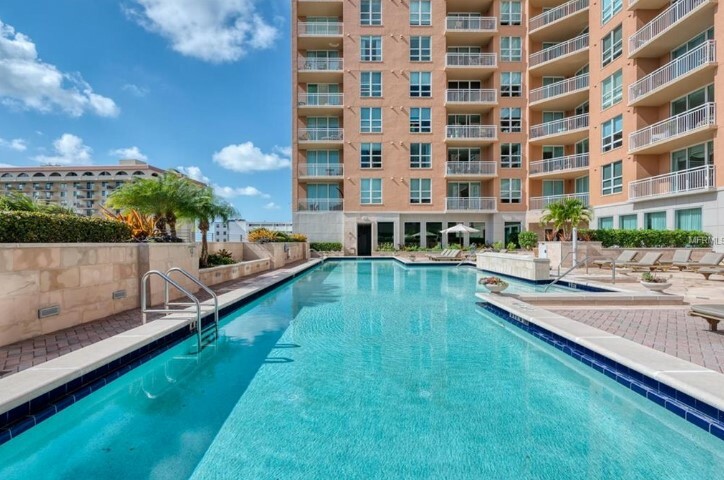 The summer can be a great time to prepare your condo for sale (we have suggestions on how to do that here) so it is fresh and ready to be listed in the mid-fall, when season begins picking back up. If you are anxious to sell right now, there is less competition on the market against you, but buyers are on the lookout for a good buy. 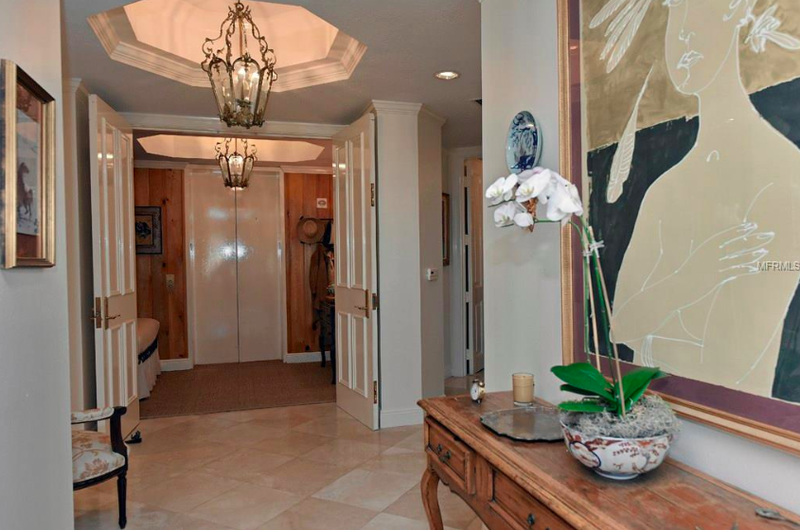 Be prepared to negotiate and stay realistic on your expected sale price. If you are interested in buying right now, know your options might be more limited during the summer, but for the next couple of months, it's a good time to be a buyer. 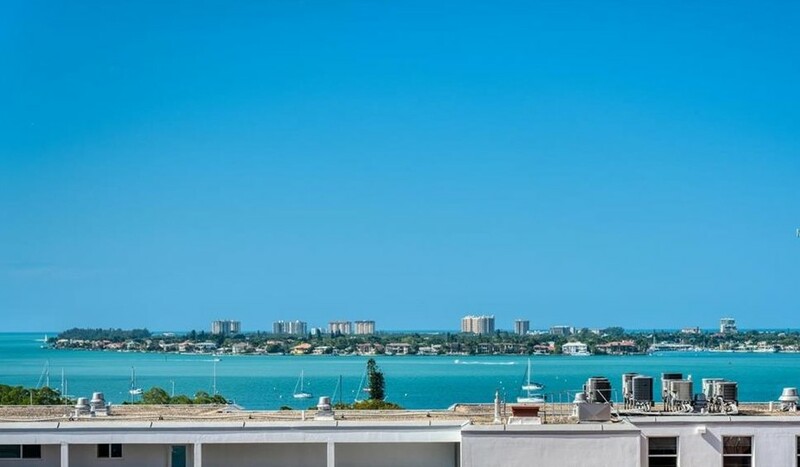 With our eye always fixed on the great views from the top in downtown Sarasota, these five notable sales that closed in June caught our attention. 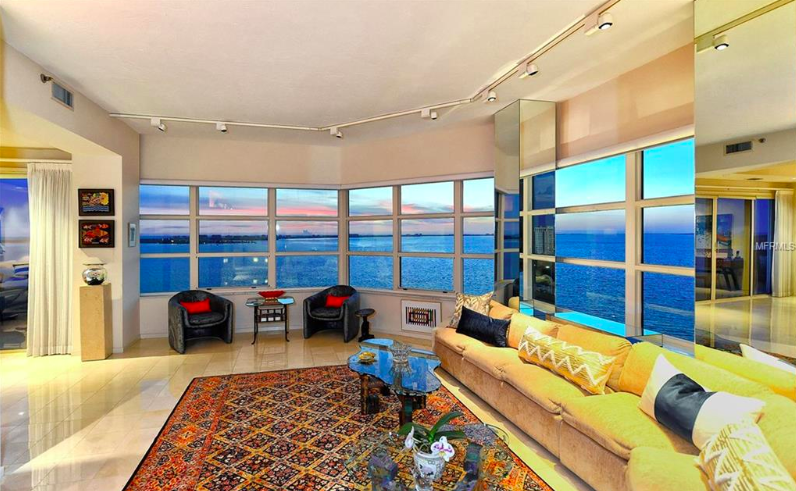 Have a look at the most expensive condos that were sold last month! 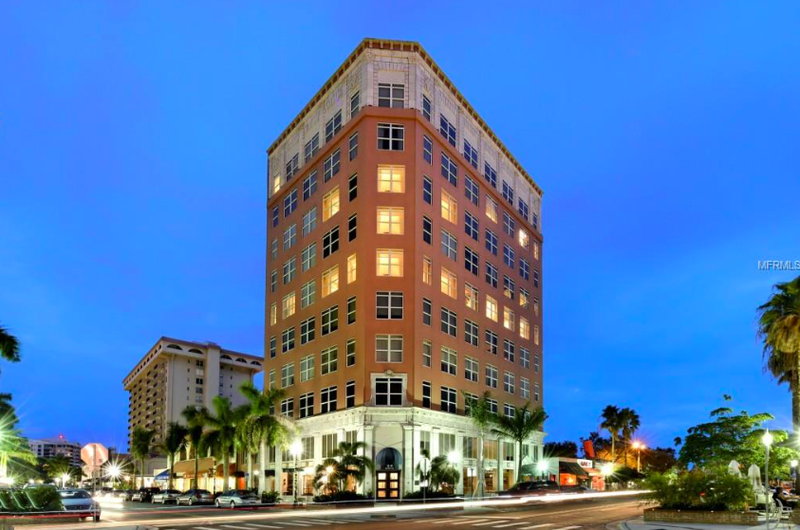 What does it cost to be in the penthouse of the most centrally located building in downtown Sarasota, walkable to literally everything downtown, across from the library, Five Points Park, an elevator ride from many restaurants below? Just over $3,000,000, apparently. 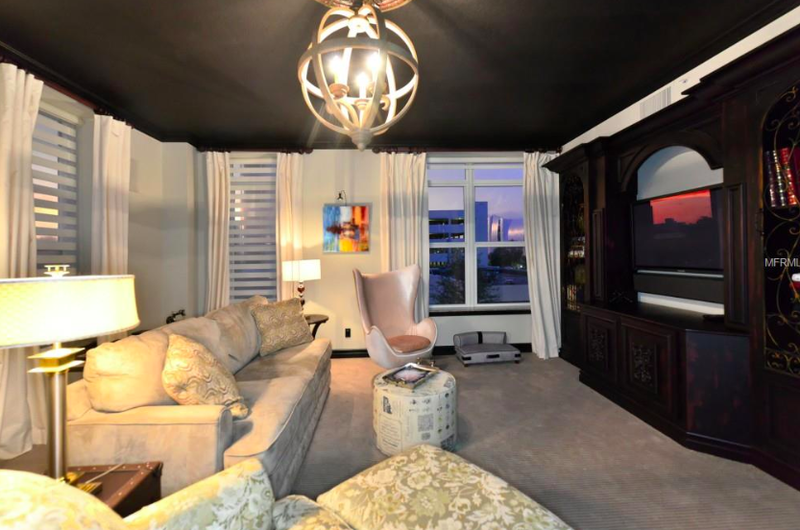 Check out this perfect-location penthouse! 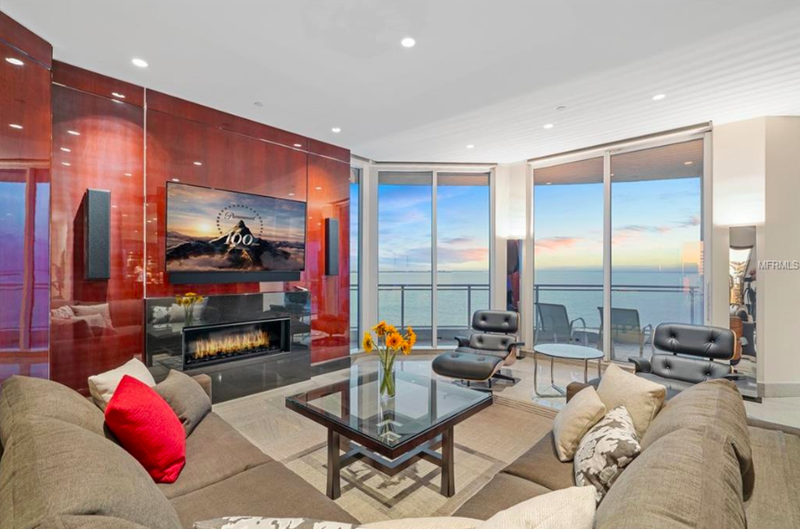 Getting on the exquisite waterfront peninsula of Golden Gate Point comes with a price tag, and the luxury almost-15-year-old building is no exception. 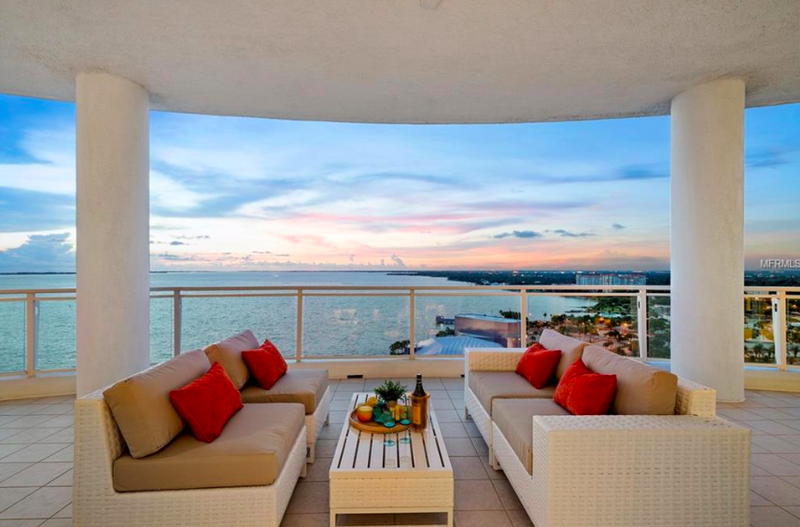 With views spanning from the city to the bay from the absolutely expansive wraparound terrace, this condo screams SPECIAL. 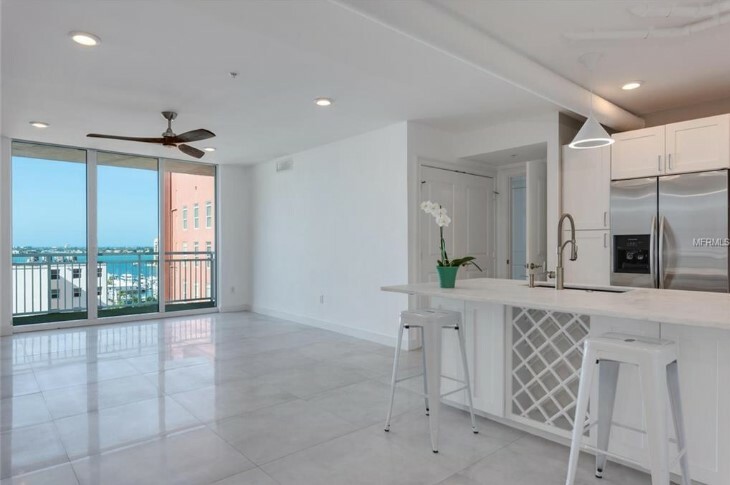 Majestic Bay is one of only a few buildings where each condominium occupies an entire floor, allowing for different and stunning sights from every window and a lovely feeling of exclusivity, if we do say so ourselves. 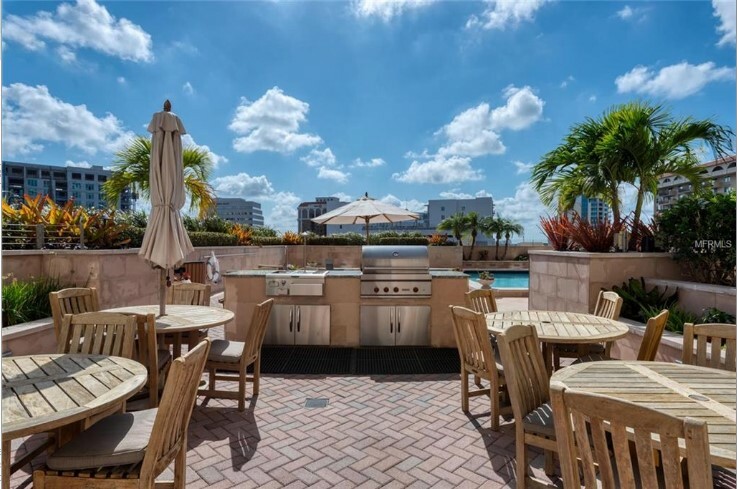 The Ritz Carlton Tower Residences enjoy all the amenities of the Ritz Carlton, which is adjascent to this luxury high-rise located on the waterfront side of downtown. 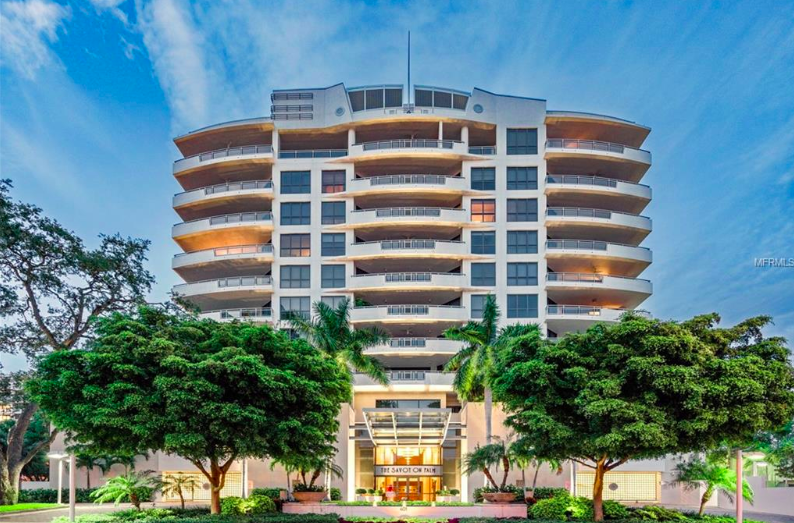 This grand building offers its residents 24-hour security & concierge, a large theater room, fitness & massage facilities, a heated outdoor pool, and amazing Ritz-qualities services like daily continental breakfast offered to owners as well as in-room dining service! 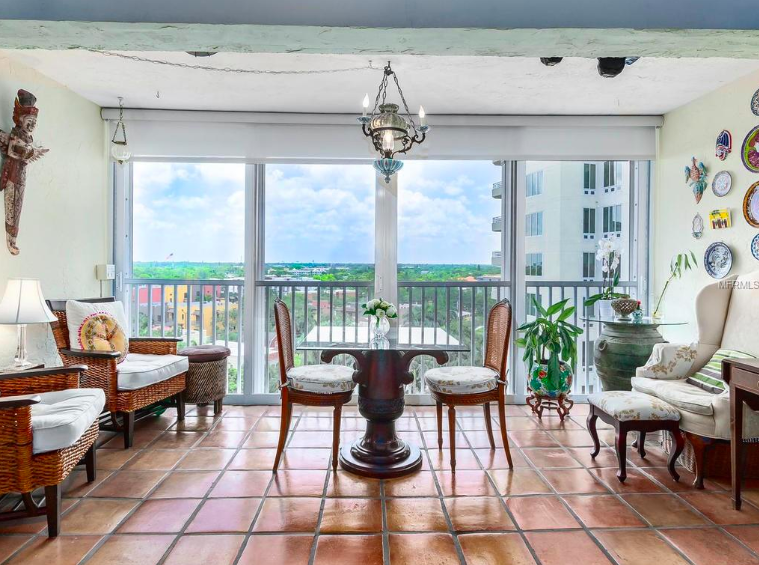 Just over one million gets you full bay and city views in one of downtown's finest buildings: Sarabande. 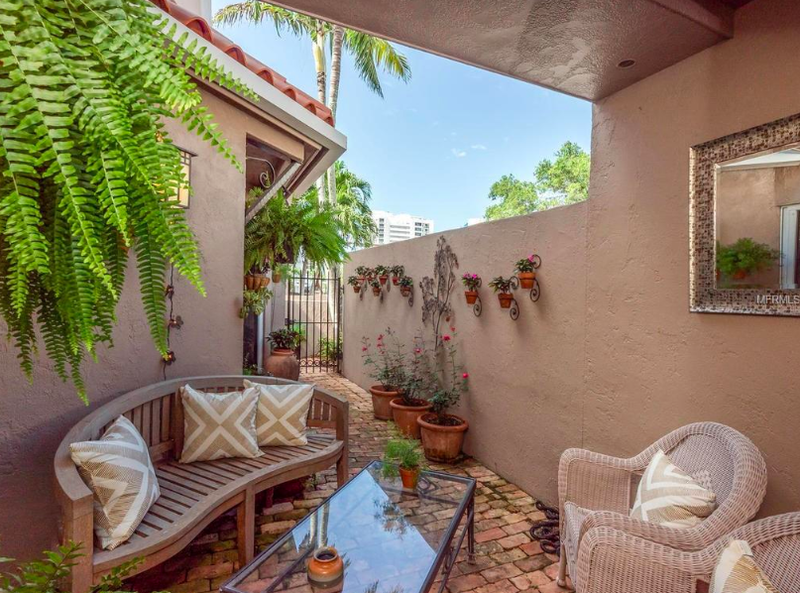 Located on the southern part of Palm Avenue, owners of this residence will find themselves minutes from cool Burns Court and totally walkable to Main Street. 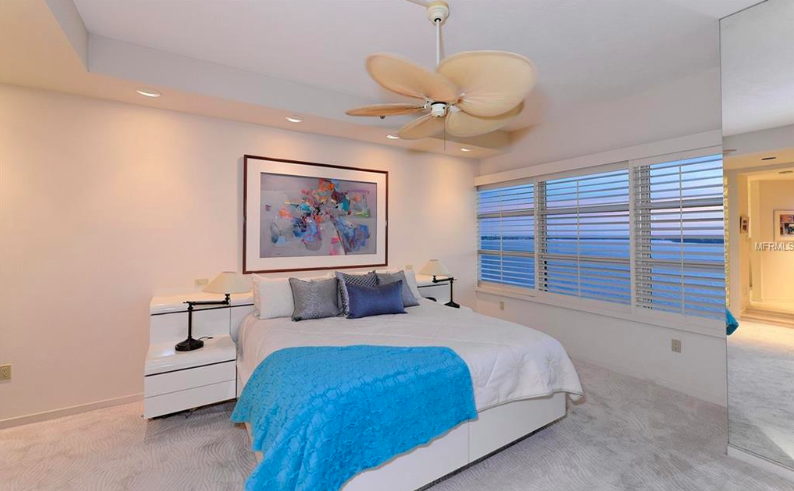 The spacious interior frames stunning water views. 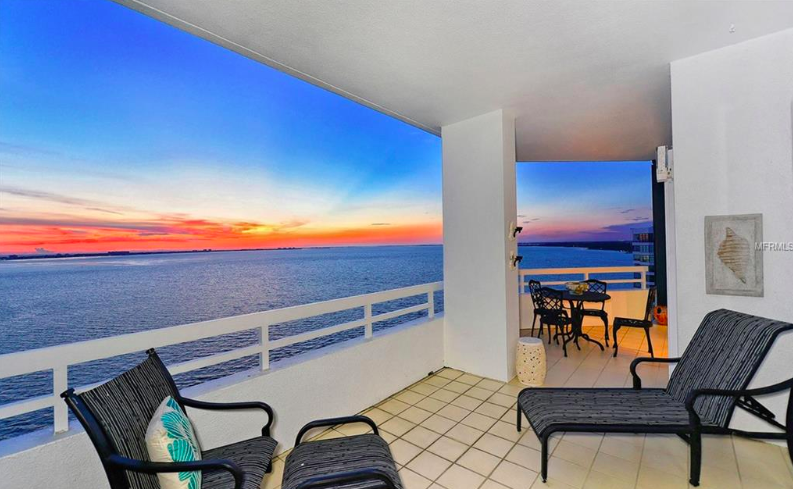 Condo on the Bay is perfectly poised right on the edge of Sarasota Bay, with unmatched and unobstructed water views. 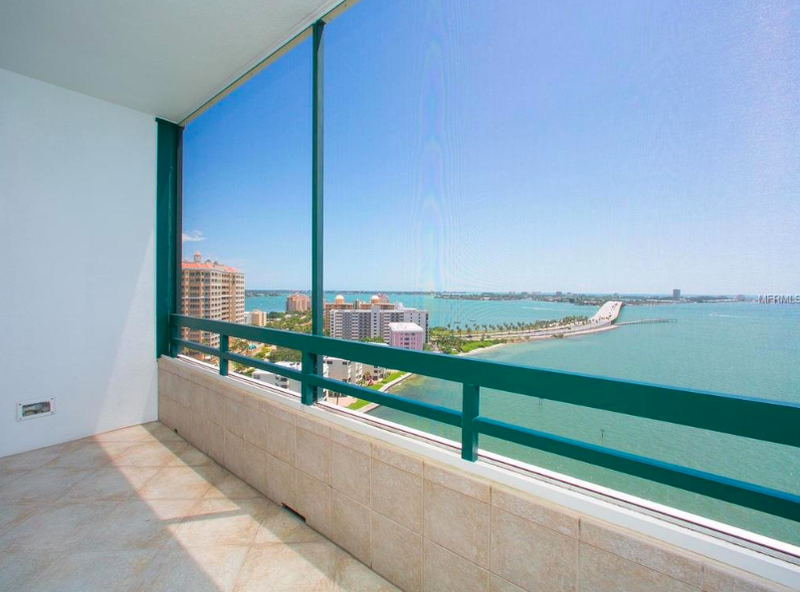 This large penthouse condo needs a little updating, but these views will always be right outside the window. 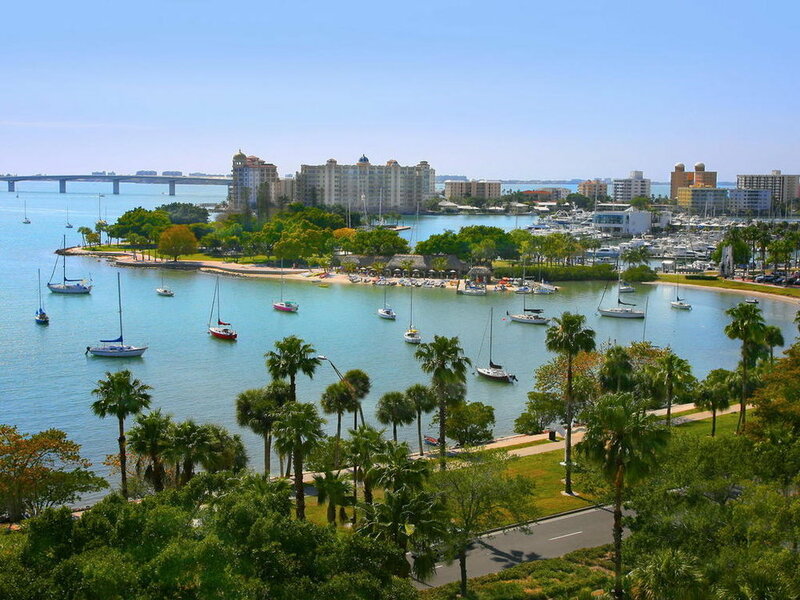 Check out the endless aqua waters and the beautiful Ringling Bridge! Wow! 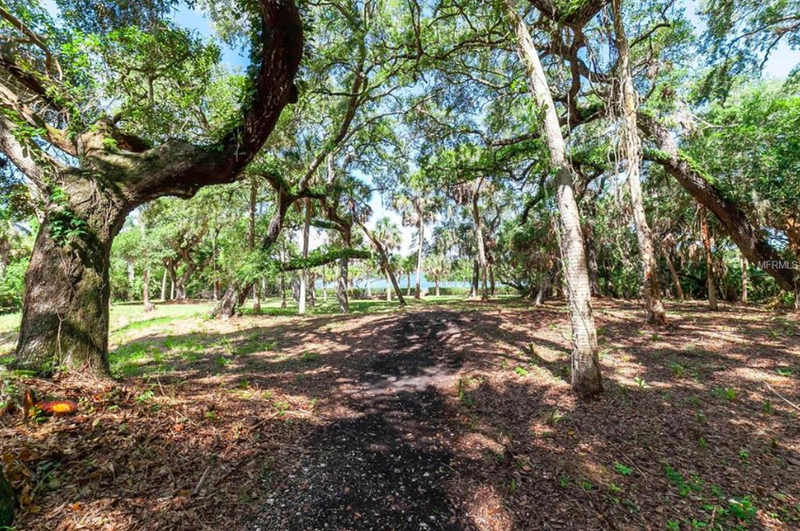 We are fortunate to announce that we've just listed an amazing, last-of-its-kind property: a gorgeously treed bayfront lot of beautiful untouched Florida paradise. 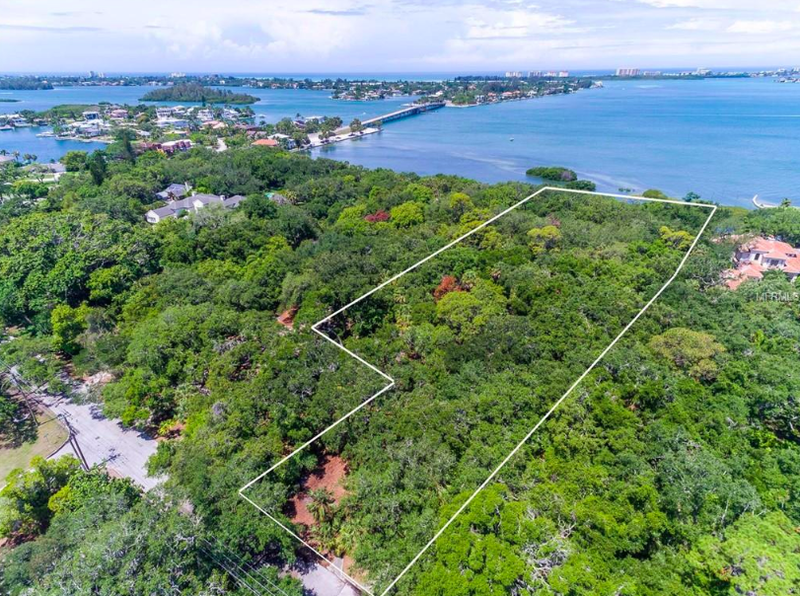 Located just off of Osprey south of downtown, 3246 Old Oak Drive is a simple massive west-of-trail lot on the mainland-side of the north bridge to Siesta Key within downtown city limits. You simply do not find land like this these days! Are you ready to build your dream? 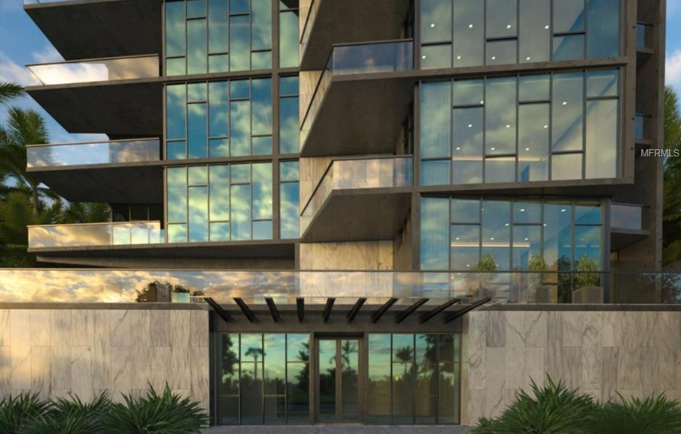 Pulling before the gates of Le Rêve, you will be greeted by welcoming landscaping and enough space for the most luxurious of private estates. 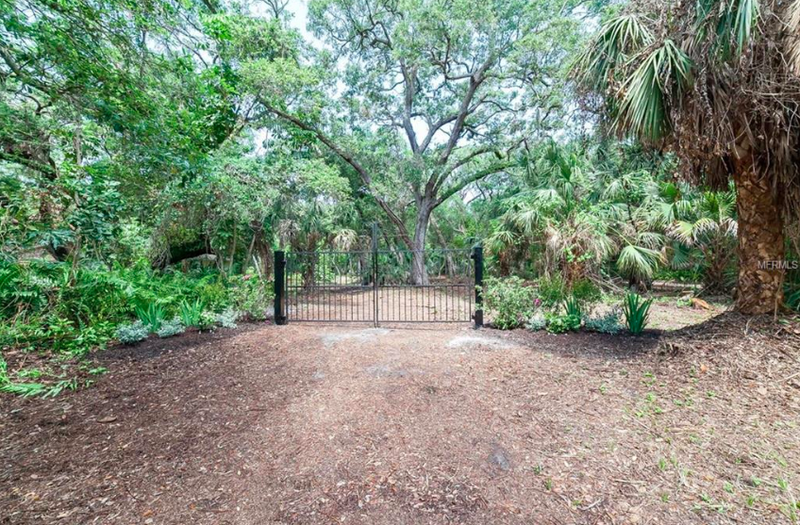 A walk behind these gates takes your to your own personal escape, right on the waters of Sarasota Bay. 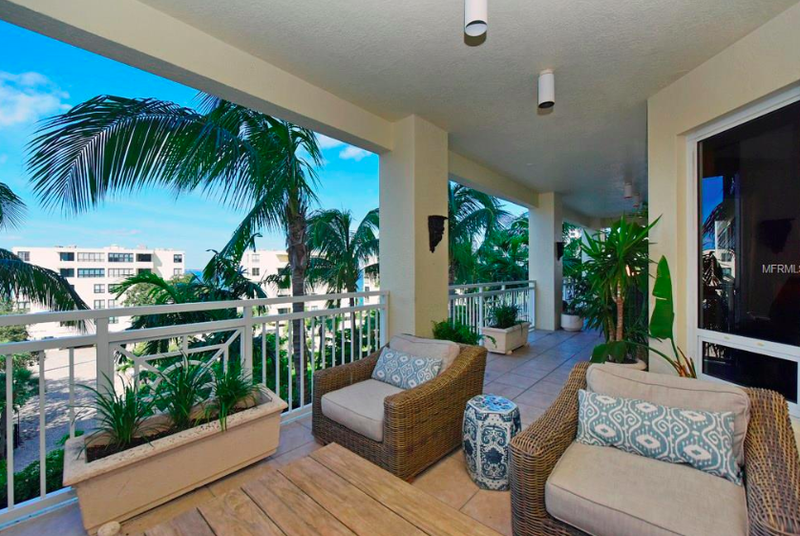 Welcome to Le Rêve, a tropical bayfront paradise in Sarasota, Florida. 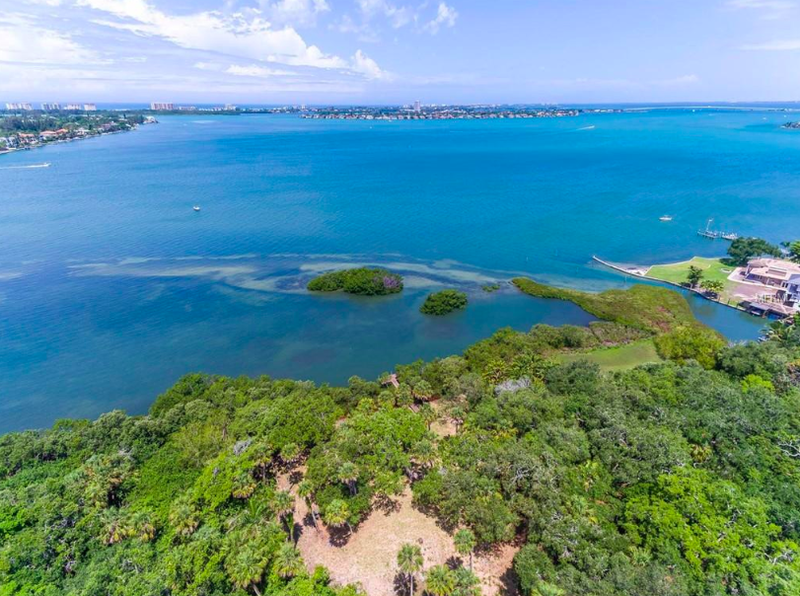 With nearly 200’ of frontage on Sarasota Bay, this beautiful property offers you a look into what Florida can be… a lush & verdant escape of canopied oaks, towering palms, and peaceful seclusion unheard of in the highly sought-after West of Trail area. Winding down the quiet street, you will be in awe of a neighborhood that has put nature first; the homes work around the scenery in a graceful, subtle dance, allowing the trees to lead the way. 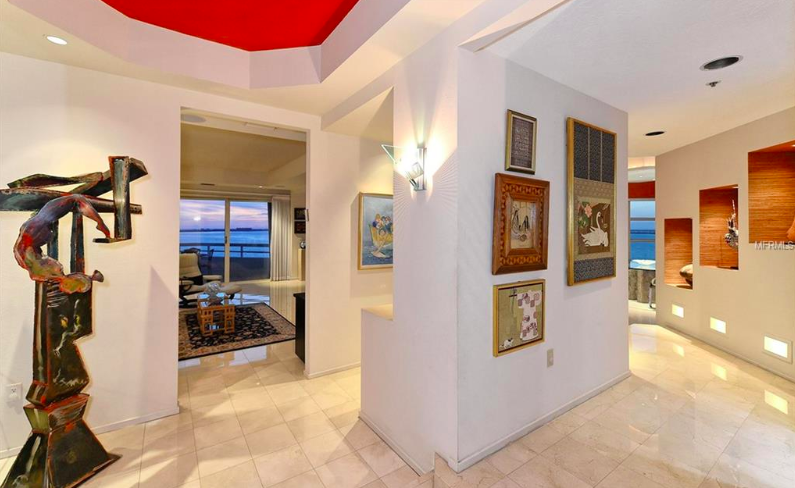 Your west-facing home will look out onto some of the best sunsets in the world…a red globe dipping into the warm waters of glistening Sarasota Bay. 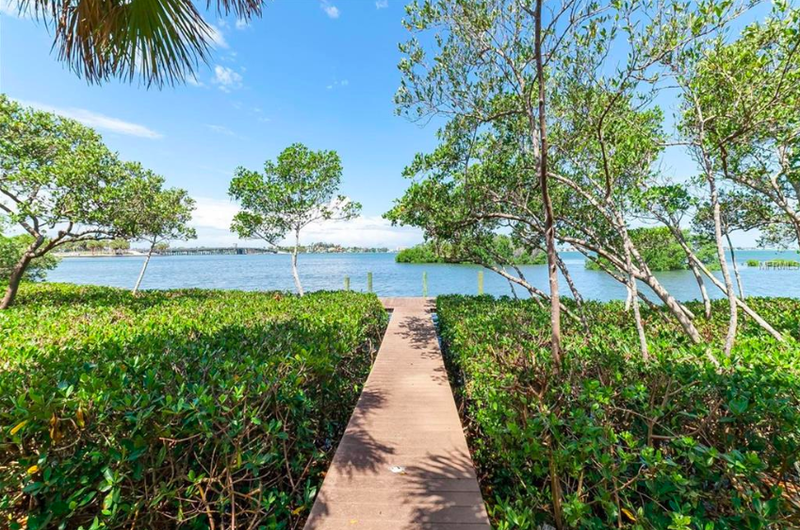 Listed price is for 1.5 acres of this 2.25-acre parcel—create your fantasy residence or choose to purchase the entirety for the ultimate bayfront escape. 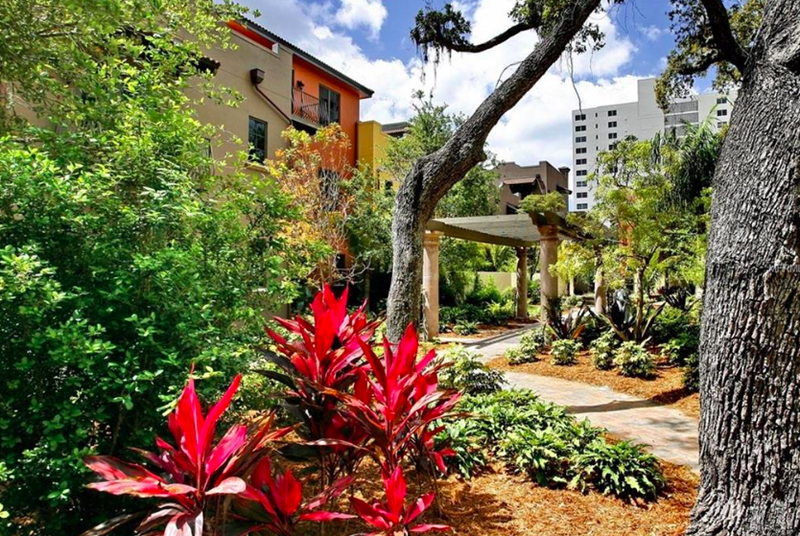 Located within minutes of Siesta Key, Southside Village, prestigious Southside Elementary School, and all of the cultural amenities of downtown Sarasota, this untouched property is the last of its kind. Places like this come about once in a lifetime; lucky for you, it’s now. 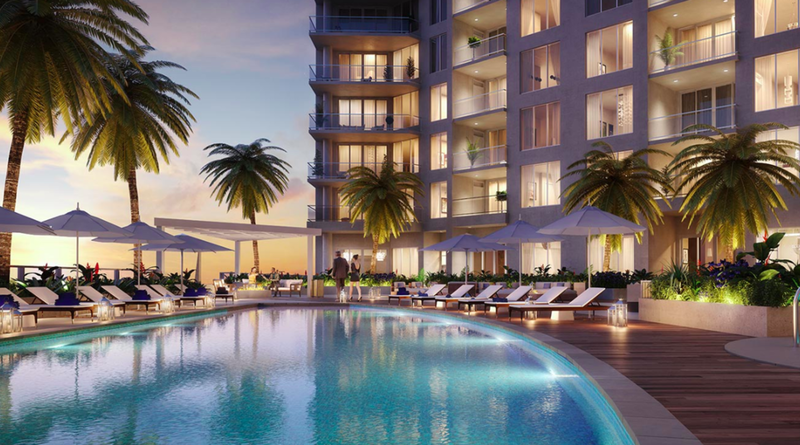 Build your home, build your future, build your dream at Le Rêve. 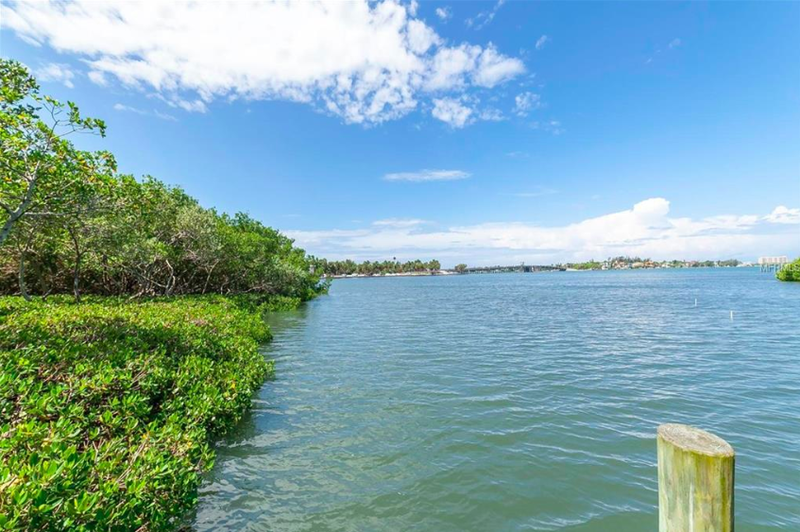 If you would like more information about this property or any other in Sarasota, please give me a call today!